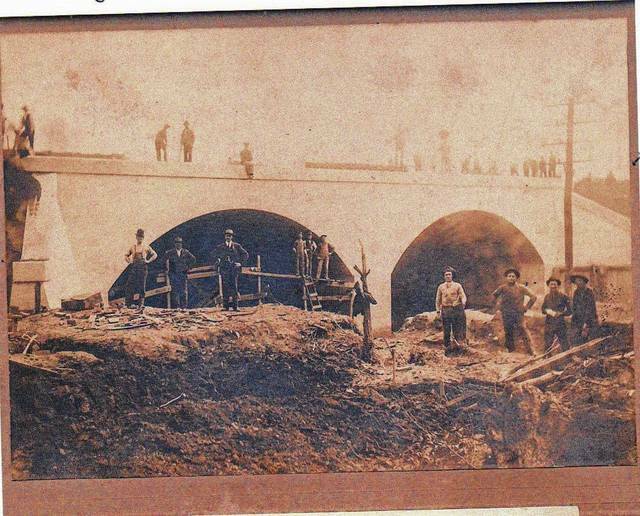 Then: This photo was taken during construction of the Pennsylvania Railroad arch bridge over Nettle Creek, circa 1900. 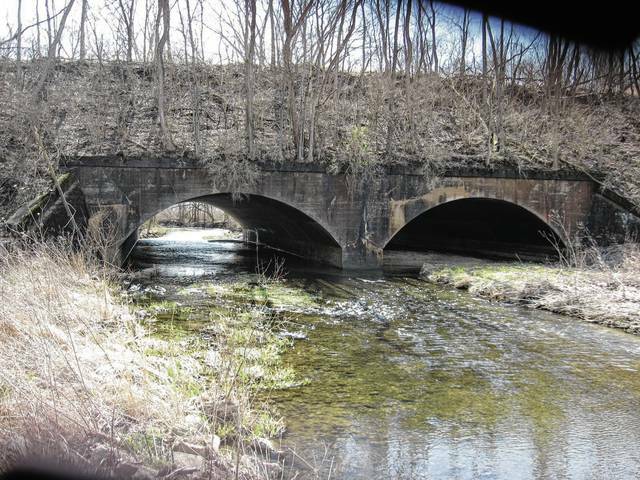 Now: This photo was taken this year of the Pennsylvania Railroad bridge over Nettle Creek. Submitted by the Champaign County Historical Society.